The first general concept patent addressing iris recognition can be attributed to the work of Drs. Leonard Flom and Aron Safir in the 1980s. However, iris recognition’s utility as a human authentication method would have remained little more than a notion had it not been for John Daugman, PhD, OBE (http://www.cl.cam.ac.uk/users/jgd1000/) and the algorithms he developed to 1) generate a digital representation of the iris pattern, and 2) provide the ability to match one iris against another found via exhaustive search of even very large databases. Unquestionably the world’s leading authority on iris recognition, a wealth of scientific and technical information about iris recognition can be gleaned from Dr. Daugman’s website at the UK’s University of Cambridge. Iris ID (formerly LG IRIS) was the first concern to license*, produce and market a commercially viable iris recognition product – the LG IrisAccess 2200. This revolutionary new system introduced in 1999 utilized conventional camera technology with advanced lens design and special optics to capture the intricate detail found in the iris. In 2001, the second generation LG IrisAccess 3000 was introduced, providing a platform that incorporated more robust system security features, improved speed and enhanced user interface, while lowering both the cost per portal and overall cost of ownership. Today, Iris ID remains the market leader in both deployed iris platforms worldwide, as well as in delivering robust authentication technology incorporating anti-spoofing countermeasures that set the gold standard for the sector, and excellent integration flexibility. In a world challenged to find new ways to authenticate identity and privileges while processing people, information and delivering increased levels of security, the future of iris recognition technology looks bright. Iris ID’s commitment to remain a leader in the field is strong. Given the Company’s core competence in security, IT product design and development, wireless and a host of other areas that lend themselves to application development, the fit and prospects iris recognition technology affords Iris ID for growth are promising. Here you can learn about the current product line, the software that drives it,, the integration flexibility it affords, and a retrospective view of IrisAccess models mark the path to where we are today. 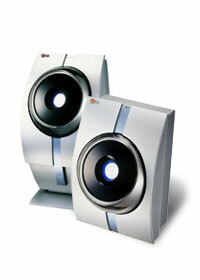 LG followed the success of it pioneering IrisAccess 2200 with IrisAccess 3000. Debuted at COMDEX 2001, it replaced IrisAccess 2200 as the mainstay in LG’s iris recognition line in 2002. IrisAccess 3000 with autofocus, autozoom brought a new improved and more intuitive user interface to the era of the single-eye imager. IrisAccess 3000 set new standards for integration versatility as tools to help integrate iris biometrics with smartcards and embed IrisAccess in other vendors credentialing and Access Control systems were introduced. Thousands of IrisAccess 3000 systems remain in operation today, performing well in a variety of conditions all over the globe. While LG continues to support and service IrisAccess 3000, this model was discontinues in 2006 to make way for the latest IrisAccess4000 system—a family of products that meshes seamlessly with its predecessor. Discontinued in 2006, no longer supported. 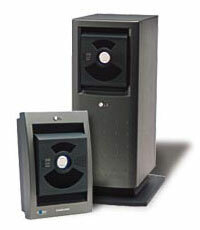 After committing to iris recognition development in 1997, the 1999 debut of IrisAccess 2200 the platform that made commercialization of iris recognition possible. Attracting attention of early adopters, within two years, IrisAccess 2200 could be found in Data Centers government and military applications, border control pilots, identification of undocumented persons in refugee entitlement management as well as in early phase deployment in expedited air passenger programs. While IrisAccess 2200 has not been sold since 2002 when it made way for a new and improved IrisAccess 3000, many IrisAccess 2200 systmes continue to work reliably in the field today. Discontinued in 2001, no longer supported.